The State Council Information Office of China released its Arctic white paper China’s Arctic Policy on January 26th, 2018. It’s the first official document that China has issued to clarify its basic positions, policy goals and major polices on Arctic affairs, writes Liu Jin, of the China Institute of International Studies. Compared with other affairs, the Arctic did not rank high on China’s agenda for a rather long time. However, as the reform and opening-up policy proceeded, and the Arctic de-securitization process unfolded after the Cold War, China has renewed its focus on the region. In 1995, a group of Chinese scientists and journalists travelled to the North Pole and conducted research, China’s first such expedition. In 1996, China became a member of the International Arctic Science Committee, and in 2004, China built the Arctic Yellow River Station—its only Arctic station —in Svalbard’s Ny-Ålesund. In the 21st century, China’s Arctic activities have intensified and expanded into diverse areas, such as Arctic global governance and economic development. According to China’s Arctic Policy, China has carried out eight scientific expeditions in the Arctic Ocean with its research vessel Xue Long (Snow Dragon), and conducted research for 14 years at the Yellow River Station. In 2013, China was granted permanent observer status by the Arctic Council. 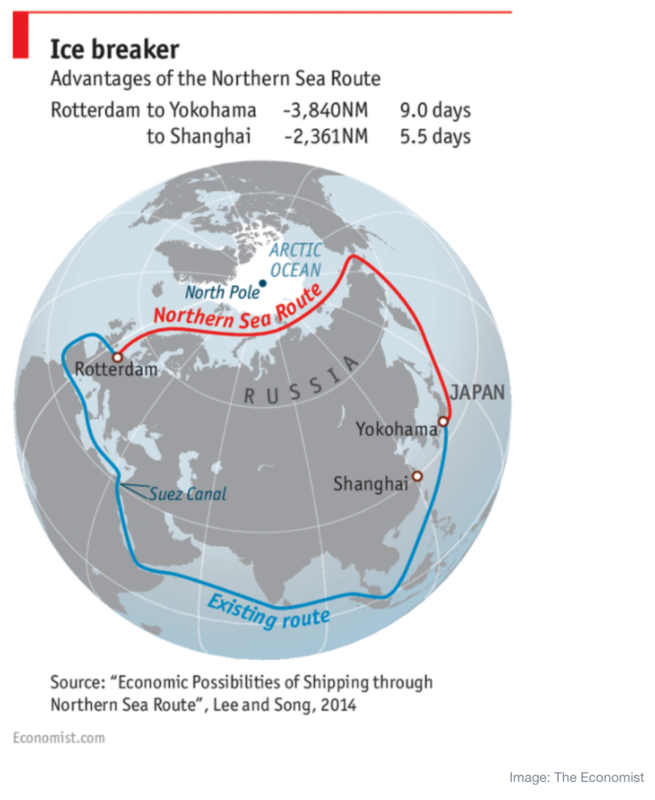 In recent years, Chinese enterprises have conducted several commercial trial voyages in Arctic shipping routes. For example, the freighter Yong Sheng (Eternal Prosperous), which belongs to China’s largest shipping enterprise COSCO (China Ocean Shipping Company), passed the Northeast Passage in 2013, became the first Chinese merchantman to do that. China also begins to participate in Arctic energy exploitation and infrastructure construction. The Sino-Russian Yamal LNG project, which went into production in December 2017, has attracted great attention. As China’s economic power increased sharply and its Arctic activities have intensified in recent years, there has been deep concern about how China will employ its powerful scientific and economic strength, what’s its aim is in the Arctic, and whether it will respect the rights of the Arctic states. After the other major “Non-Arctic states” such as South Korea, Japan, Germany and UK issued their Arctic strategies, China’s Arctic policy and position paper was constantly called for. China became a permanent observer of the Arctic Council in 2013, which means, by accepting the Council’s revised criteria for admitting observers, the most sensitive of which is “Recognize Arctic States’ sovereignty, sovereign rights and jurisdiction in the Arctic”, China formally made its position clear. Two years later, the Chinese government introduced its Arctic activities and polices comprehensively for the first time at the third Arctic Circle Assembly. In his video message, the foreign minister Wang Yi formally put forward the concept that China is a major stakeholder in Arctic affairs. He said that China’s principles in the Arctic are “respect, cooperation and win-win” – China will respect the Arctic States’ sovereignty, sovereign rights and jurisdiction in the Arctic, and the legitimate concerns and rights that China enjoyed under international law in the Arctic should be respected too. In his keynote speech at the assembly, the then vice foreign minister Zhang Ming clarified the “stakeholder” concept by pointing out China’s geographical position as a “near-Arctic state”, which means “the changing natural environment and resources exploration of the Arctic have a direct impact on China’s climate, environment, agriculture, shipping, trade as well as social and economic development”. It’s made clear in the white paper that China sees itself as an important stakeholder, and is determined to actively participate in Arctic affairs; or, in the words of Kong Xuanyou, the vice foreign minister who briefed the press, China will not “absent itself from Arctic affairs”. First, as mentioned above, China sees itself as geographically a “Near-Arctic State”, which means “the natural conditions of the Arctic and their changes have a direct impact on China”. Second, as signatory to Arctic-related international treaties such as the UNCLOS and the Spitsbergen Treaty, and as a permanent member of the UN Security Council, China enjoys certain rights such as “the freedom of scientific research, navigation, overflight, fishing, laying of submarine cables and pipelines, and resource exploration and exploitation in the high seas”. It also shoulders the important responsibility of “jointly promoting peace and security in the Arctic”. Third, as a major trading nation and energy consumer, China may be hugely impacted by the exploration and development of the resources and the utilization of sea routes in the Arctic. Fourth, China can be expected to contribute to the development of the Arctic region. 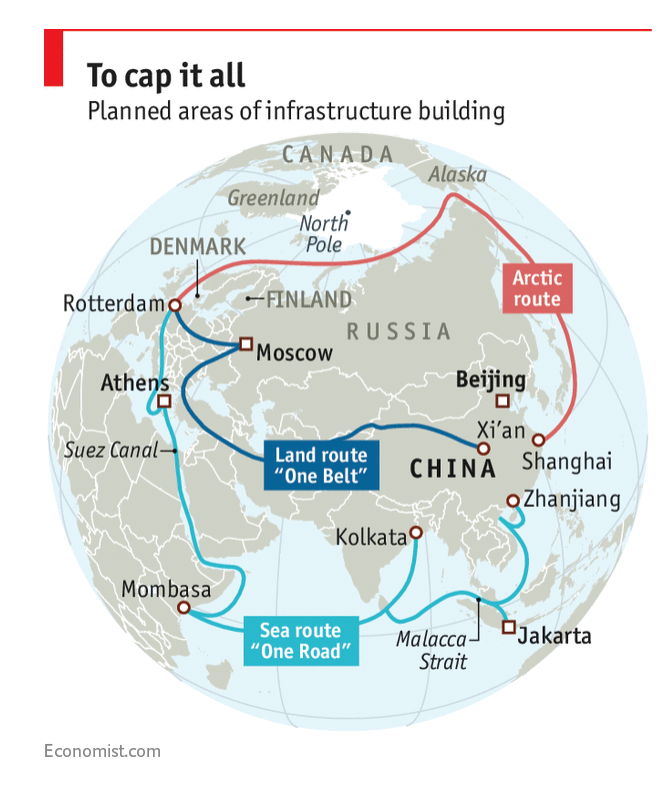 In short, China regards itself as “an active participant, builder, and contributor in Arctic affairs”. Accordingly, the white paper sets China’s policy goals in the Arctic as “to understand, protect, develop and participate in the governance of the Arctic”, and China’s basic principles are “respect, cooperation, win-win result and sustainability”. Promoting peace and stability in the Arctic. In the white paper’s detailed elaboration of these goals, principles, polices and positions, four aspects are most noteworthy. China’s respect for the rights and laws of the Arctic states, the tradition and culture of the indigenous peoples are repeatedly emphasized; China’s exploration and utilization of the Arctic will abide by related treaties and general international law. It is apparent that China wants to reassure the Arctic states about its activities in the region. The existing Arctic legal system and governance mechanism are highly valued. It is the treaties and international laws mentioned above that give China the rights to participate in Arctic affairs. Besides, China will seek international cooperation when engaging with the Arctic, without which its activities, especially the exploitation and utilization of Arctic resources will become very difficult, even unimaginable. Arctic scientific research and environment protection are placed in an important position. “To explore and understand the Arctic serves as the priority and focus for China in its Arctic activities”, the white paper says. The fragility of the Arctic’s ecosystem is fully appreciated, and China’s will to protect the environment in its Arctic activities is repeatedly emphasized.The fragility of the Arctic’s ecosystem is fully appreciated, and China’s will to protect the environment in its Arctic activities is repeatedly emphasized. The concept of “Polar Silk Road” is put forward and incorporated into China’s Belt and Road Initiative. The Yamal LNG project, of which the Silk Road Fund holds 9.9% shares, is one of the specific activities. While Russia is China’s major partner this “Polar Silk Road” along the Northeast Passage at present, the white paper makes it clear that the Northwest Passage and the Central Passage are not excluded and “China hopes to work with all parties”. Infrastructure construction, and commercial and the regularized operation of the Arctic routes are highlighted. The release of the Arctic white paper sees the development of China’s position towards the Arctic proceed into a new stage. From now on, China has authoritative guidelines for its Arctic activities, and China’s Arctic Policy provides a reasonable basis for international society to judge China’s Arctic activities in the future. Published in collaboration with the China Institute of International Studies.